On December 7th, a festive crowd gathered at the Showroom to celebrate the 2nd Annual Top Denver Design Awards, presented by 5280 Home. This event was sponsored by Roth Living and Benjamin Moore Paints, and we must say – they really know how to throw a party. There was an incredible banquet of bites from Hapa Sushi, Blue Agave, Dunbar Kitchen and Tap House, and Vero Italian. To wash it all down, servers poured a merry selection of beverages including bubbly and wine from Molly’s Spirits, Great Divide Beer, piñon-scented whiskey from Santa Fe Spirits, Vektor Vodka, and Suerte Tequila. Cayenne Kombucha Margarita, anyone? But the real reason to gather was to celebrate the Design stars of our community. 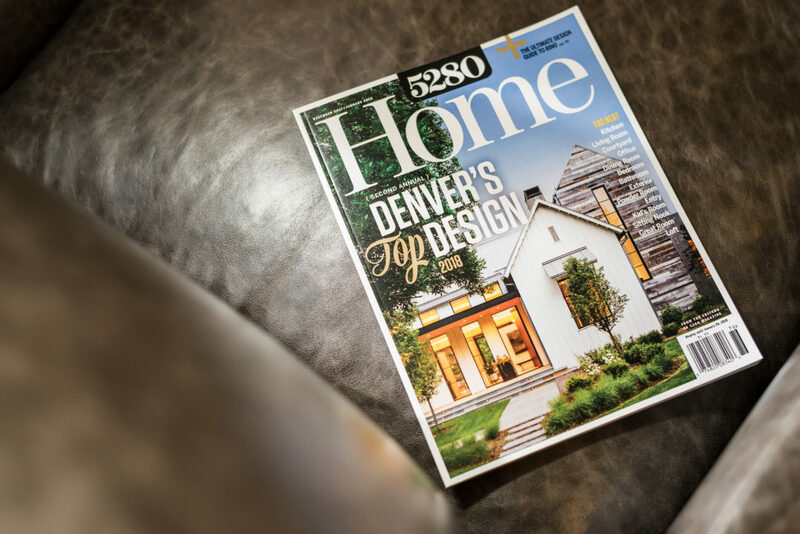 The winners were announced in the December/January 2018 issue of 5280 Home. If you didn’t pick up a copy of the magazine, you can read about the winners, their designs, and their philosophies here. As the winners stepped forward to accept their lovely awards, we envisioned all the thought, creativity, and hard work embodied in their designs. Congratulations to all! And we celebrate the hearts and minds that dedicate themselves to making Denver a great city. Forward-thinking, full of fun, in tune with all the natural beauty that surrounds us every day – that’s the design community, in a nutshell. We are proud to be a part of it.